Elegant stature. 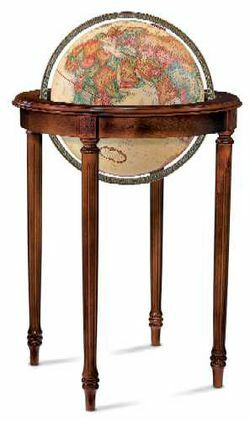 This 16" diameter antique ocean world globe with die-cast meridian rests in an artistically detailed tall hardwood base with a rich walnut-finish. This floor globe is a beautiful addition to any home!